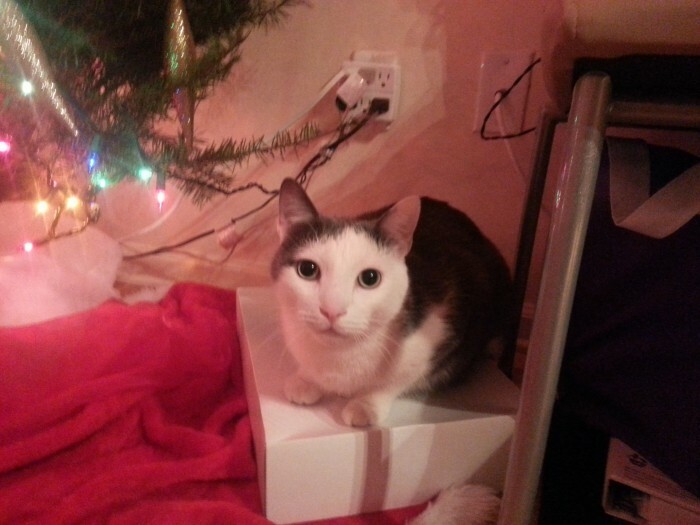 He’s sitting on that present because there’s a laptop inside. wow the tree is still standing! mine wouldn’t allow that.